WANDER from Acre Supply on Vimeo. In what undoubtedly goes down in history as the greatest product-testing session of all time, the guys from Mission Workshop decided to bring the company’s new Acre mountain biking gear across the Atlantic, for some serious trail testing in the Alps. Bike Magazine Senior Photographer, Dan Barham, went along on the trip and captured the expedition on vintage film cameras. 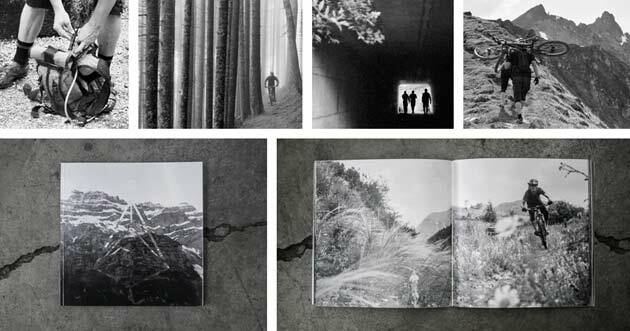 The result is Wander, a photo book filled with photos that will make you want to quit your job and hit the trail until the wheels come off. You can order Wander here on Mission Workshop’s site. What’s the 75-page book look like? Check out the digital version below. Initially, the Wander project was intended to be an experiment in product testing. Bring the Acre kit far from home and subject it to a proper beating, in a relentless way. Of course, this would all be documented in photos. But how to keep the photo project from interfering with the primary goal of product testing? This was our concern. As the project took shape, we came to the conclusion that film photography would be the way to go for this trip. The theory being that we would be less focused on the images and more focused on the product and riding. 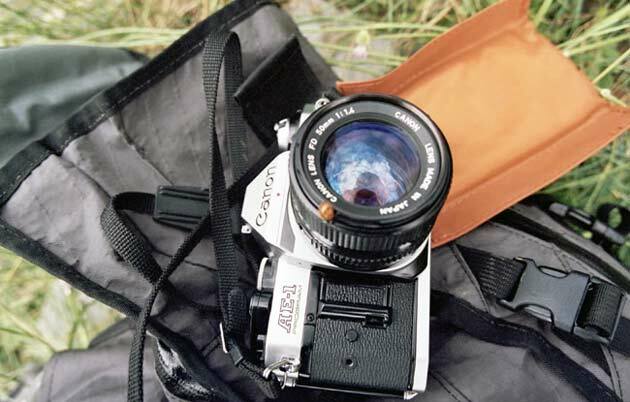 Since you can’t preview photos in a film camera, the tendency to obsess over the images is removed. Therefore, as a rider you sort of lose interest in the camera and it becomes much less of a distraction. When asked to be our embedded photo journalist, Bike Magazine senior photographer, Dan Barham, not only agreed to take on this challenge, but looked forward to it and started searching for vintage cameras that would work for the trip. The down side of using film was obvious, we wouldn’t know what we captured until the film was developed. The cameras may not have been working. The film could be bad. We could have come back from two weeks of shooting with nothing to show for it. Fortunately for us, the gods were on our side. The number of switchbacks were beyond counting. Another summer storm had blown in and pushed us off the trail and down into the valley for safety. Although we could ride through the weather on most days, this time we had to head for cover. Shooting film had become our “new normal” by the end of the second week. Covering thirty to fifty kilometers of trail per day, there were endless moments that could be captured, however, only having a finite amount of film made each shot more of a decision to be weighed rather than a whim to be indulged. 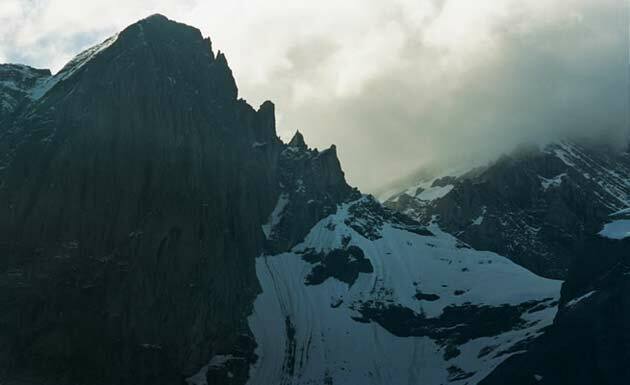 There was no knowing what had been captured along the trails in the Alps, at the Hauser family cabin, or along the rocky river crossings in France. Snapping each shot was just another gamble, one that paid off. See the book and more of the story here.